Sunward's deployment from Miami in 1966 signaled the start of the modern cruising industry That vessel measured 8,000 gt and carried 400 passengers. Thirty years later, Carnival Cruise Lines launched Carnival Destiny, the first passenger ship to exceed 100,000 gt. It carries 3,400 passengers. Today, no fewer than 19 post-Panamax cruise ships are in service, with 11 others contracted. Next year, Royal Caribbean International will introduce the 158,000 gt Freedom of the Seas, with capacity for 4,370 passengers. And Carnival is developing an even larger 'Pinnacle project' design of at least 180,000 gt. The race to super-size is on as, more and more, people ask: Are ships getting too big? Proponents say larger vessels expand the market by hooking people who have never cruised with amenities for children, teens, sports lovers, spa enthusiasts, etc. while economies of scale drive juicier profits .But is there a limit? Super-sizing has potential downsides. Perhaps the biggest is the impact on destinations. In a new study, Peter Wild of U.K.-based consultants G. P. Wild (International) Ltd .refers to 'staggering growth in megaship development.' Vessels have been getting larger for years, but their size will substantially increase in the next decade, Wild asserts. 'The cruise ports are now facing the same challenges that airports faced in the late 1960s with the introduction of jumbo jets that carried more than twice as many passengers as previous airplanes,' observes Jim Lida, assistant director of cruise marketing for Port Everglades. Everglades is gearing up by adding roadways and parking, doubling the baggage areas of some terminals, investing in new loading bridges and considering lengthening a pier. So far, the expansion has been cost-efficient because many terminals are converted warehouses, and space is still available inside those buildings. Not every port is so lucky. Many scramble to fund costly improvements and, unlike Everglades and a handful of other key ports, do not enjoy the security of long-term agreements with Super-sized cruise operators. Just a few years ago, Antigua invested $22m to dredge St. John's Harbor, build a new pier at Nevis Street and extend Heritage Quay to handle the largest ships. Cameron Fraser, director of Antigua Pier Group Ltd, believes the facility can handle Royal Caribbean's Freedom class, but he's concerned about how or if the island would fund expansion for a future generation of much larger vessels. The mechanism for funding comes from head taxes. 'Cruise lines argue there's incremental tax from other sources but that's not how it works,' Fraser says. 'Our tax rate now was signed to handle $22m and that is a 15-year debt. 'Fraser doesn't believe it's sustainable for shipowners to tell destinations 'If you want to be in the race, you've got to build.' He believes vessels in the 80,000-90,000 gt range will remain critical to the industry's success, as will smaller destinations that offer a distinctive experience. As a larger island with multiple ports, Jamaica is 'easily able' to absorb capacity increases as it continues to grow its attractions and dispatches tours in a manner that the town centers do not get overwhelmed, says William Tatham, vp cruise shipping and marina operations for the Port Authority of Jamaica. An expansion will enable Montego Bay to serve both Freedom and Pinnacle ships, he adds .Tatham's concern is that lines focus on berth sizes without taking into account overall operations such as tour dispatching and security. 'They only look at these issues when they have already started to call and things are not going as smooth as they would like,' Tatham says. Meanwhile at the Port of Miami, the leading stevedoring firm works hard to turn a big ship around in 10 hours. That's 7,000 passengers disembarking and embarking a single Voyager ship and at least 17,000 pieces of luggage, says Fernando Alvarez, operations manager for Eller-ITO. His team also loads 30 45-foot trailers of provisions per Voyager ship. 'It's a tremendous task,' Alvarez says. 'Plus, after 9/11, they make our life miserable with all the immigration and Coast Guard regulations. But we still do it in 10 hours.' Ships must sail by 5 p.m. because captains are pressed to keep fuel costs down. Pre-9/11, disembarkation was completed by 9:30 or 10 a.m. Now, it's noon -- if all goes smoothly. That puts pressure on the ship's crew, who have a much shorter time to prepare for embarking guests. Immigration officials now check all passengers. Alvarez thinks the process will speed up in December when U.S. citizens will be required to carry machine readable passports. passengers could be persuaded to begin disembarking at 6, immigration officials would not be there. It's an overtime issue, Alvarez says. Officials start at 7. 'We have to work around challenges, but that's normal in this business,' says Adam Goldstein, president of Royal Caribbean International. Every time the rules have changed or there's a new procedure, 'we have been able to reconfigure our approach for getting people on or off the ships, and it works.' Guest satisfaction scores prove that. Goldstein notes that from a deployment standpoint, his company's post-Panamax ships have turned out to be far more flexible than ever dreamed. That's true for all lines. 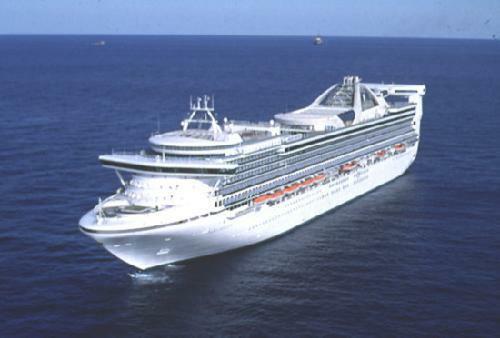 Princess Cruises initiated Grand-class cruising in the Mediterranean in 1998 and has been there ever since. Last year Princess sent a 109,000 gt ship to North Europe . During 2005, three Grands are in Continental waters. Costa went year-round with its first post-Panamax ship, Costa Fortuna, and had two 105,000 gt vessels in Europe last winter. Carnival will launch its first-ever Med season with the 110,000 gt Carnival Liberty this summer. Meanwhile, post-Panamax vessels are sailing in Australasia , Alaska, Bermuda, Canada and South America. 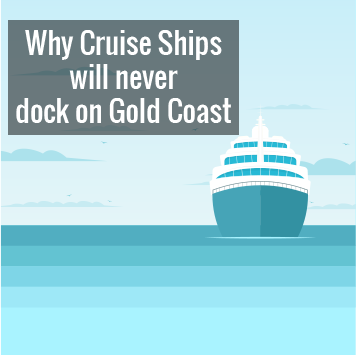 'There are some destinations that can't take 3,000-passenger ships. But there's so many places in the world and even in North America that we haven' t saturated,' says Rick Sasso, president and ceo of MSC Cruises USA. 'We've barely gone to most of the ports ... We haven't gotten close to this becoming an issue. Cruise executives like Carnival president and CEO Bob Dickinson think the industry can absorb megaships because sizes have increased incrementally over time. The 110,000 gt Conquest class is not that different from the 101,000 gt Destiny class he says, and Royal Caribbean's Freedom series is 'basically a stretch Voyager. What about safety? With ships carrying so many people, the International Maritime Organization sounded the alarm in 1999, forming a large passenger vessel safety group. Ultimately, the IMO scrapped the 'large' differentiation in favour of continuing efforts to improve safety on ships of all sizes . 'I'm still of the opinion that very large cruise ships are safer because they have more main vertical fire zones and more watertight integrity. The newer ships have more sophisticated ,more advanced technology so as the years go on, they just get safer,' says Ted Thompson, EVP of the International Council of Cruise Lines. When it comes to the construction aspect, Thompson concurs with Juha Heikinheimo, SVP sales and marketing for Aker Finnyards, that theoretically, there are no limitations .Theoretically, we could build way over 300,000 tons,' Heikinheimo says. 'Yo could build a big ship in two pieces and put it together,' he adds. Such a vessel could remain offshore and ferry passengers to port. In the early 1980s, shipowner Knut Utstein Kloster envisioned the Phoenix, a 250,000 gt ship for 6,200 passengers. More recently, engineer Norman Nixon has developed plans for the Freedom Ship, which he stresses is 'not a cruise ship' but a community at sea which would be assembled in pieces like a barge stretching 4,500 ft, with capacity for 100,000 people. How big can ships go? In Goldstein's opinion, 'the guests will get what they want.